Ambitious plans construct Sky City in China, designed to be the highest skyscraper in the world and built in just 90 days, stalled at the outset over 2 years ago, leading to an unusual array of impromptu and informal adaptive reuses within and around the void dug for the tower, including an extensive fish farming operation. In the absence of other uses, the local community has found new functions for the apparently abandoned 280,000-square-foot foundation, while the ceremonial groundbreaking marker (below) increasingly resembles the tombstone for a deceased architectural dream (rather than the herald of a record-breaking construction project). 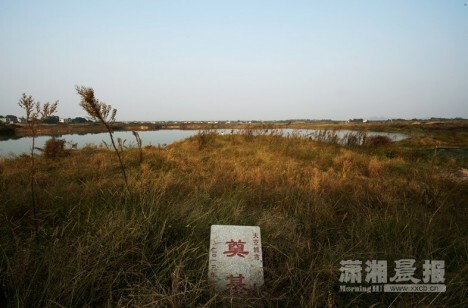 According to local source Xiaoxiang Chen Bao, one entrepreneurial farmer has invested a significant sum into his fish farm, set in the expansive rainwater-filled void (effectively an artificial lake) formed by deeply excavated sections of foundation, while others are using areas of land on all sides to grow crops or dry grain. 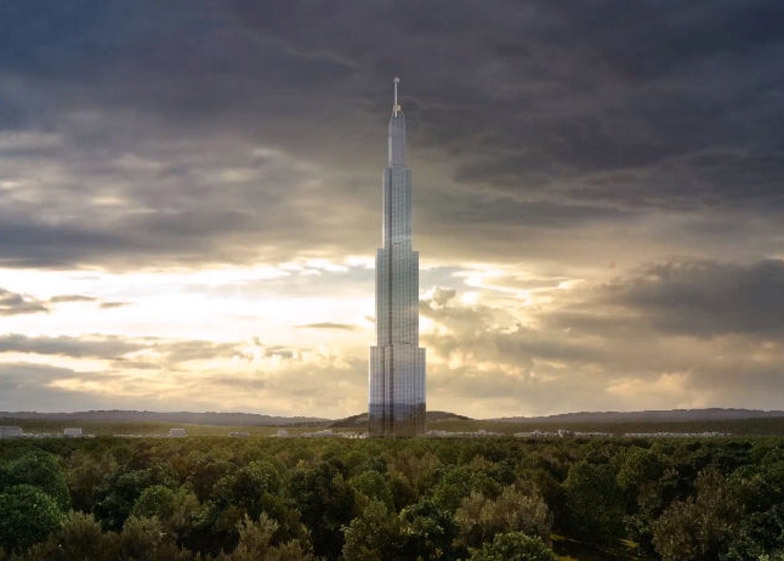 The tower was to stand 2,750 feet high in Changsha and its smaller sibling (Mini Sky City) has already been successfully built to 57 stories in just 19 days using innovations in prefabrication to rapidly speed up the process (time-lapse sequence shown below). Manufacturing many sections off-site, the development company was able to save significantly on costs but also to assemble the structure and facade in record time. Permitting issues and safety concerns have held back the larger structure, however, and resulted in a number of locals turning the land toward other productive purposes. It is unclear at this time whether any of the issues are tied to the initial and smaller project. 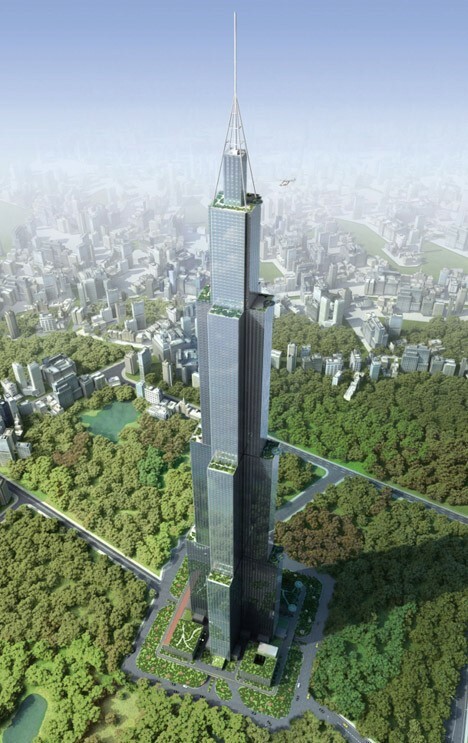 Billionaire Zhang Yue, the man behind both projects, claims that their plans will eventually go forward, but there is no official word from the local or national Chinese government to confirm his assertions as yet, nor any construction activity on or around the site to support such claims His company, Broad Sustainable Building, aims to revolutionize safe and speedy skyscraper construction, using both buildings as examples of their capabilities … or perhaps just the one should the latter be permanently abandoned.